1 Marshmello and Fortnite Collab? 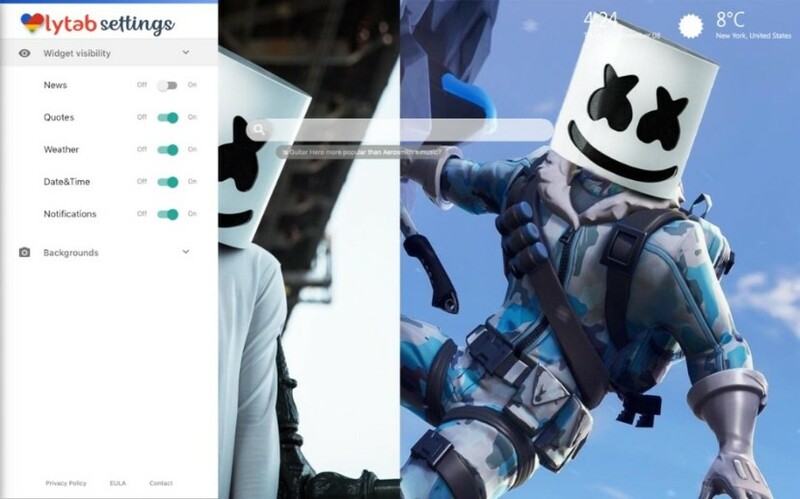 1.1 Marshmello Wallpapers with Fortnite Season 8 might be the most bomb thing coming up! Marshmello Wallpapers with Fortnite Season 8 might be the most bomb thing coming up! 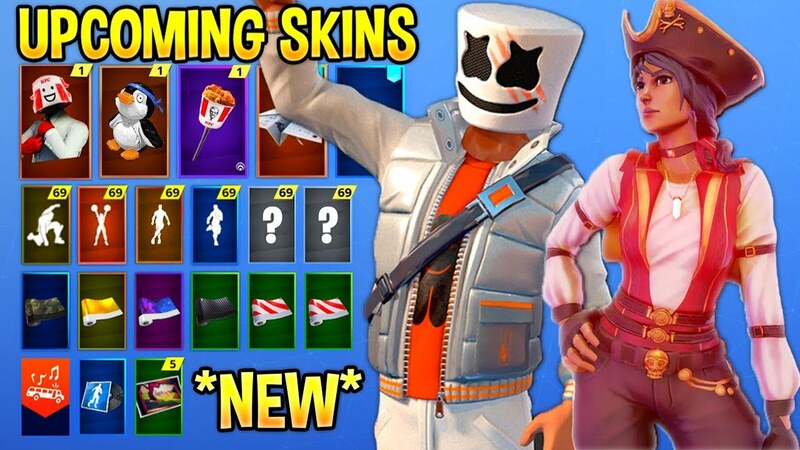 Many Fortnite and Marshmello fans are super excited because of this collab and we are bringing you the first wallpapers avaliable. We will ofcourse, update the version with new images as soon as we get them! If you have some material, let us know. We all remember the time when Season 6 brought music to the game, but Epic Games believed that it was time to take it to the next level. Namely, a collaboration with DJ Marshmello is coming up! Next month, we will surely know more with the release of the game, but for now, let’s hope we will have a great experience! We got a Tweet for you which might get you thinking. Check it out here! The song is called “Wolves”, and it is a remixed version, which is a collaboration between Marshmello and Selena Gomez. As it might be expected, the song is trippy and involves shuffling of LEGO bodies and visuals like Mario Kart, and it looks like it is from Fortnite, yes. 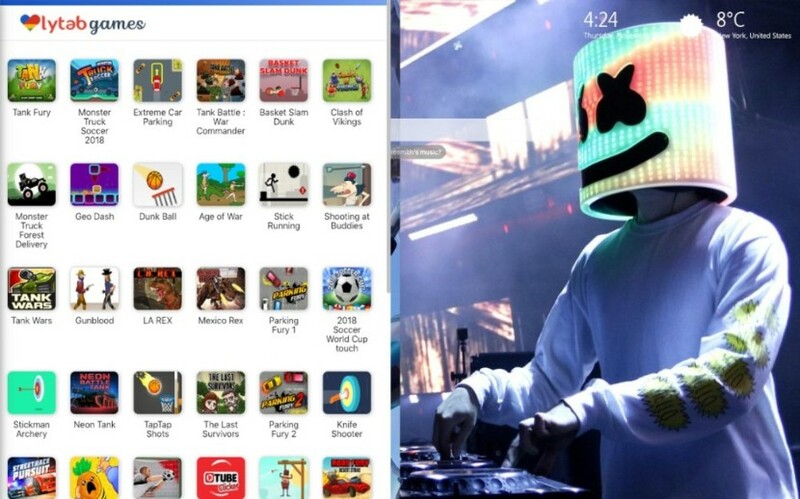 It is quite possible that the digitalized version of Marshmello could be introduced to the game. Let us know what you think. Nevertheless, whatever the collab is going to be, it won’t happen until February. We all know that season 7 will end, and novelties will be part of Fortnite Season 8 as we are expecting! It is said that the world of Fortnite is coming with big changes! 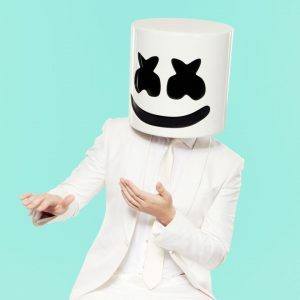 For all who don’t know yet, Marshmello is a famous musician and DJ. His real name is Christopher Comstock. He got famous mostly because of his music but his visual appearance is definitely worth remembering. He wears a helmet/mask which looks like a marshmallow with crudely-drawn X eyes and a grinning mouth. 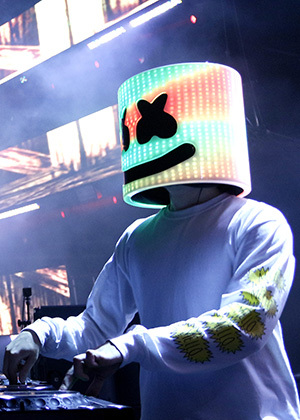 Marshmello famously participated in a pro-am Fortnite tournament at E3 2018 and won with Ninja as his partner, raising $1 million for charities in the process. 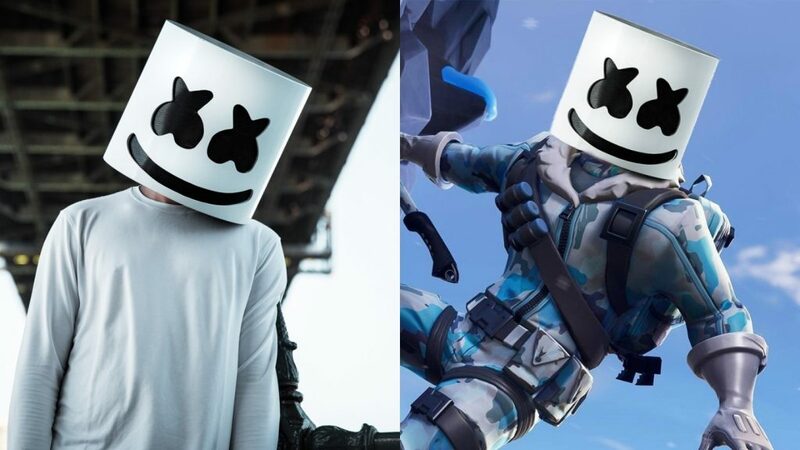 The two have played Fortnite together on numerous occasions before and since, ultimately making Marshmello not only a famous musician but a prominent figure in the Fortnite fan community as well. Now back to why you are really here. This great extension is free and suitable for all ages. 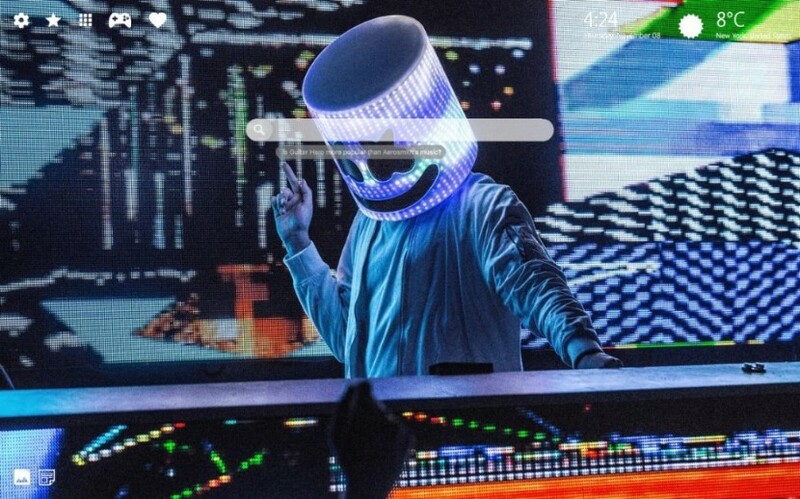 We have added cool features to this Marshmello wallpaper extension, which will make your browsing experience more fun and adjusted and suitable for all your needs! Marshmello Wallpapers 2019 extension shows you the exact time and location wherever you are. Lukas Graham Wallpapers + Who Exactly Are Lukas Graham?! Jimin BTS Wallpapers and Facts You Didn’t Know About Jimin!